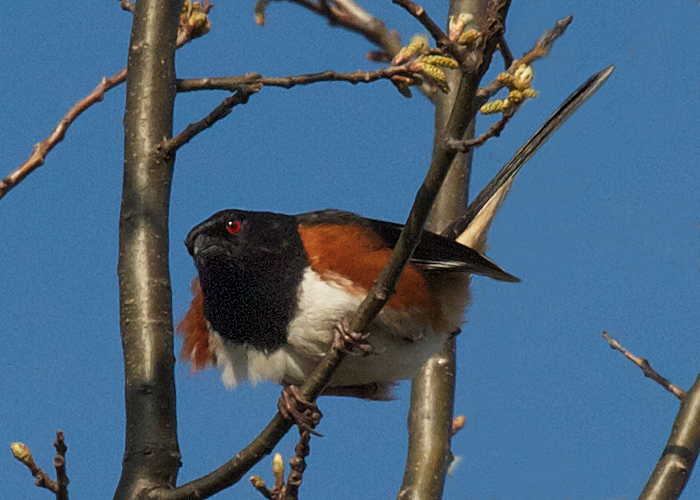 From the treetops, the red eye of the towhee watches everything. Something is on his mind. Something macho, I think.